I recently traveled to Portland, Oregon for the second time, and though I re-visited a few coffee shops and restaurants, I discovered so many more amazing things to do! It rained almost the entire time I was there (which was totally cool with me, because Shahzeb and I wanted a little R&R anyway), but I still managed to get out and explore some great places between the raindrops! If you're visiting Portland for the first time, there are a few must-do's to get the ultimate Portland experience and I've got you covered with everything you need to know on where to Stay, Eat & Play! I flew with Southwest Airlines from Oakland International Airport (OAK) to Portland International Airport (PDX). It was a nonstop 1 hour and 40 minute flight, making it a quick trip for anyone living on the West Coast! From the airport, you can either rent a car or take a Uber/Lyft to your hotel. Our hotel was about ~20 minute drive from the airport. On my first trip to Portland, I spent most of my weekend in the city and found it extremely easy to use Uber/Lyft all weekend. This trip, Shahzeb and I opted for a rental car, since we knew we wanted to also spend some time exploring the surrounding areas. Looking for a place to stay in Portland? The first time I visited, I found a dreamy loft in the Pearl District on Airbnb. Most recently, the hubs and I opted to stay at The Nines, a contemporary and stylish hotel in downtown Portland. Part of Starwood's Luxury Collection, The Nines is just a quick walk from Pioneer Square. We used our SPG Suite Nights and were upgraded to a beautiful suite with our own living room. It was perfect for a weekend getaway! Want more food inspo? Check out my viral Food Guide to Portland here! Choosing a place to eat in Portland can perplex even the most decisive of people! There are so many delicious restaurants, cafes and eateries to choose from! 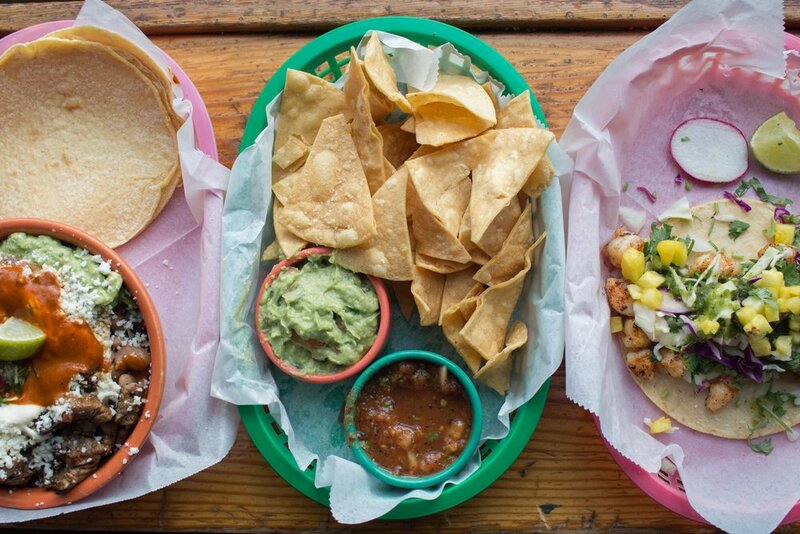 Here's a short list of some of the best food spots in the city! Need a 3 day Portland itinerary? Check out my 36 Hour Travel Guide to Portland, Oregon! Airplane Home: I was so excited to finally make it to the Airplane Home and fly my drone to get some epic footage from above. If you have time, you must visit this magnificent spot just outside of Portland. This plane wasn't just abandoned in the middle of 10 acres of forest -- a man from Oregon turned a retired Boeing 727 into a home! If you're planning to visit, get more info here first. Multnomah Falls: Ironically, I missed this epic waterfall during both my trips to Portland, this time due to the recent fires. Located just a 30- minute drive outside of Portland, Multnomah Falls is an incredible 611-foot-tall roaring, waterfall that you can experience up close! Be sure to check for updates about reopening before you go. Since it was closed when we arrived, we rerouted to Rowena Crest (see below) just a little further down. Rowena Crest Viewpoint: An iconic lookout point with a horseshoe curve along the road below. This unique shape is one of the most photographed roads in Oregon and you can see why! St. Johns Bridge: One of the most beautiful steel suspension bridges in Portland spans the Willamette River and stands over 400 feet tall. Cathedral Park: A neighborhood in Portland, Cathedral Park is situated on a peninsula and lies on the east shore of the Willamette River. It is the perfect place to take in the fall foliage in the city and it also happens to be a great spot to view the historic St. Johns Bridge. Lan Su Chinese Garden: The tranquil Lan Su Chinese Gardens were built using traditional materials from China. It's a lovely place to unwind and engage all your senses. Take a self-guided tour of the gardens, then sit down and enjoy a traditional Chinese tea experience at the Teahouse. 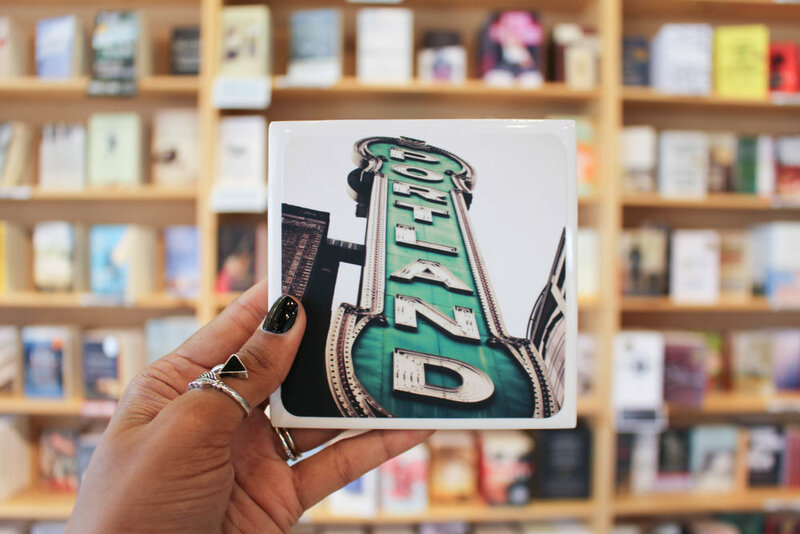 Powell's City of Books at Burnside: The world's largest new and used bookstore is right here in Portland! Spend minutes or hours browsing their extensive collection, rediscover the lost art of turning pages in an old book and maybe buy a new book for the flight home! Pittock Mansion: A beautiful château with breathtaking views of the city and Mt. Hood. For $10, you can purchase a ticket to tour the inside of the mansion, but exploring the surrounding area is free! Mt. Hood: Just 90 minutes from Portland, the tallest peak in Oregon offers scenic recreation for everyone year round (camping, hiking, fishing, skiing, etc.). Forest Park: Just west of Downtown Portland, you can find serenity between the tall trees of Forest Park. Go for a stroll or take a morning jog with the locals! SE Hawthorne Blvd: Quirky independent little vintage shops and hipster-filled cafes line the street of SE Hawthorne Blvd! The street is completely walkable, with blocks of boutiques and restaurants to choose from. Portland Saturday Market: An outdoor market (also open on Sundays) with a variety of unique stalls selling handcrafted trinkets, food, flowers and so much more!